Looking for an emergency dentist in Anderson, IN? No one plans to need emergency dental care. Regardless, it is important to know what to do and where to go if you need urgent dental care. Understanding what is considered an emergency can also be beneficial so you can make sure that you and your family’s teeth are taken care of. Located in Anderson, Indiana and need emergency dentistry care? Contact Advanced Dental Care of Anderson immediately. If your tooth has been knocked out try to keep it moist. Try placing it back into the socket until dental treatment can be made. If it cannot be placed back in the socket place it between your gums and cheek to keep it moist. Another alternative is placing it in milk. Come visit our office right away! If you crack your tooth immediately rinse the mouth with warm water to clean the area and put something cold on your mouth to keep the swelling down. If you have a toothache, rinse your mouth with warm water to clean it out. Gently use dental floss to remove any food caught between the teeth. Do not put aspirin on the aching tooth or gum tissues. If an object gets stuck in your mouth, try to gently remove with floss but do not try to remove it with sharp or pointed instruments. If you have an impacted tooth, infections or complications, urgent dental care can help with emergency wisdom teeth removal. How do I avoid dental emergencies? Avoid chewing ice, popcorn kernels and hard candy, all of which can crack a tooth. Especially if you have dental implants or bridges. Use scissors, not your teeth, to open things. A dental emergency varies from person to person. If your tooth has been knocked out, forced out of position, or fractured contact a dental office near you immediately. Some dental injuries do not require immediate attention but for safe measure, contact a dentist as soon as possible for advice. Do hospitals do emergency dental work? Hospitals normally do not have dentists on staff and are not the same as an emergency dental clinic. The hospitals can prescribe antibiotics and painkillers to dull the pain until a dentist can be seen. Is a root canal a dental emergency? A root canal treatment is a procedure to clean out an infected tooth. If a root canal and crown cannot resolve the pain, the tooth may need to be extracted completely. If the pain is severe, an emergency root canal might be needed. 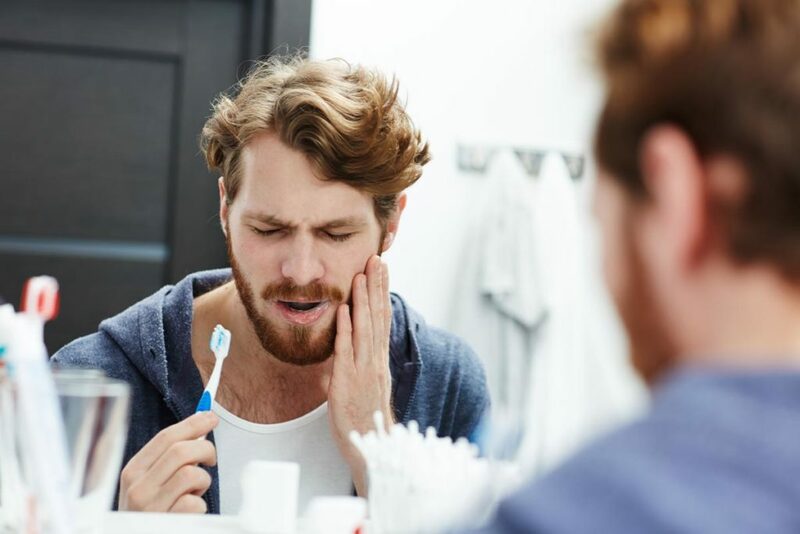 If you are feeling oral pain and discomfort here are a few steps to take to provide temporary relief until you can visit a dentist. Brush and floss your teeth to remove any piece of food in between your teeth. After brushing and flossing, rinse your mouth with warm water. You make take aspirin to dull the pain but do not put aspirin against the gums near the aching tooth. That might cause damage to the gum tissue. If the pain resides, it is still recommended to see a dentist during business hours to make sure there is not a larger issue at hand.